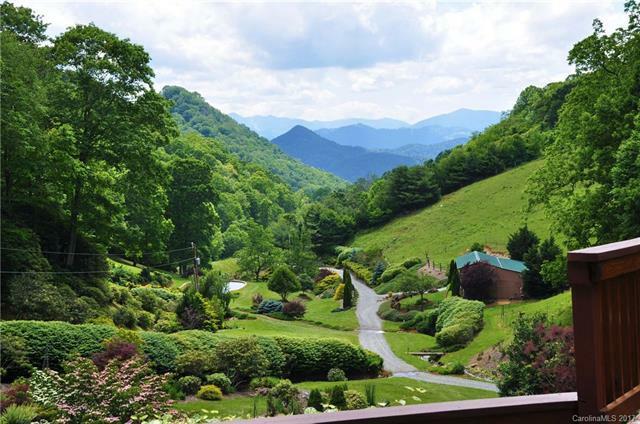 Magical 45 Acres! Absolutely amazing setting in Upper Crabtree. 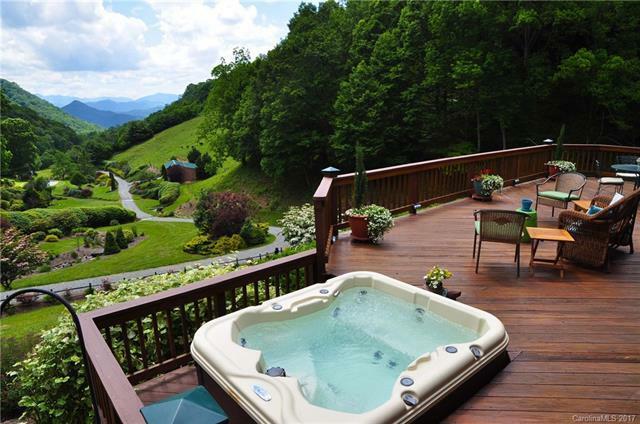 Long Range Mountain Views, Creeks, springs and waterfalls. 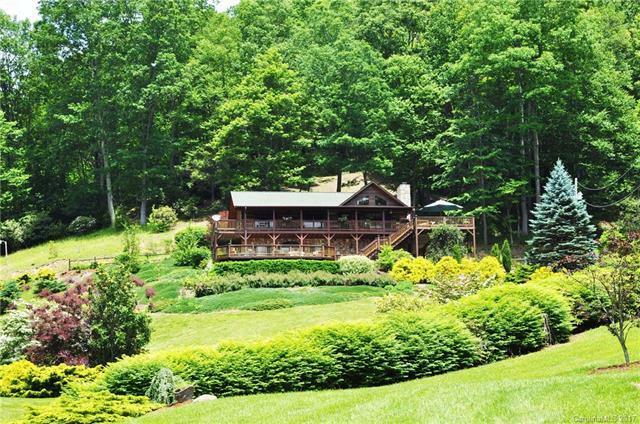 Beautiful 3 BR/3BA log home with incredible porches and patios overlooking the view. Open floor plan, master on main level, family room on lower level. 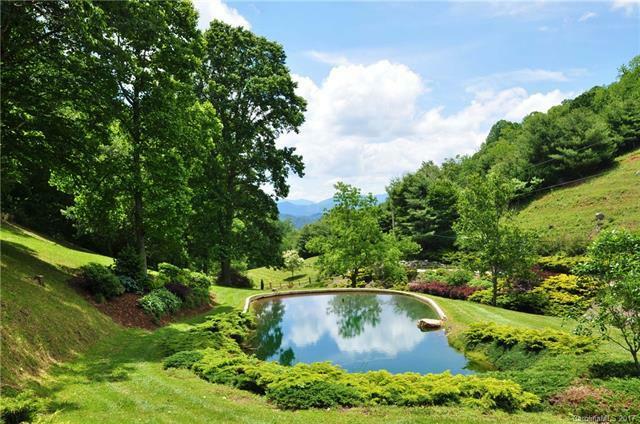 Lush perennial gardens, large pond, level pasture. Great barn for animals or equipment. Located in an ideal, pristine and end of the road private setting.